Many Ontario home builders and renovators are smarter for the challenging times the industry has gone through. 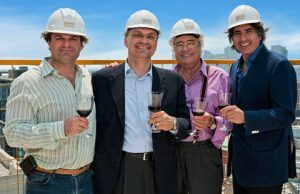 In their search for new ways of doing business, they have developed forward-thinking strategies to face obstacles that may lie ahead in 2012. Here’s a look at some of those strategies. Emphasis on internet marketing is increasingly important for Mountainview Homes in 2012 as its owners grapple with ways of connecting with more potential buyers in Niagara. Such social media sources as Facebook, Twitter and Linkedin might prove to be key advertising tools, says Mike Memme, operations manager. Identifying best returns for lowest price point is the big question. “To keep our information fresh requires a lot of manpower.” Continuing to promote home automation is also on tap for Mountainview this year. “Will it become standard in homes in two years or five years?” asks Memme, pointing out that staying on top of such technological innovations is important to meeting customers’ needs – especially echo boomers, a tech-savvy group that represents a good chunk of the Niagara market. Mountainview’s sales now are roughly 60 percent single family homes, 40 percent townhouses but the townhouses continue to make strides and echo boomers are a good reason for that trend. Does brand matter? Do people buy from a particular builder because it has a reputation for quality construction and design? Vaughan-based Empire Communities thinks they do, which is the rationale for focusing on corporate branding in 2012. Paul Golini, executive vice-president of industry relations of Empire, says the company has struggled with the notion that it is widely recognized in the 416 area code of Toronto as a high-rise builder while only known as a low-rise builder in the suburbs and beyond. “We want to start leveraging our brand across the high-rise and low-rise markets and across the geographies” to increase the company’s profile. And ultimately its business in an increasingly competitive market. As an example, when the Empire is selling townhouses in Hamilton primarily to empty nesters, the company will make clients aware they also sell high-rise condos in downtown Toronto and even in Oakville. Why? There’s a chance Hamilton clients have sons, daughters or friends who are looking in those markets, says Golini. 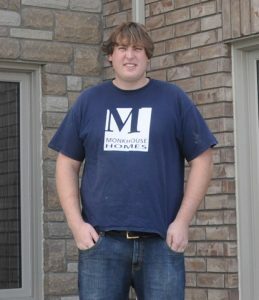 2011 saw a rebound in home renovations from a lull in 2010 when job sizes dropped by 30 percent for this Kitchener-based renovator. Company president Jamie Adam expects 2012 to meet 2011 numbers, although projections are tempered with some concern over the future of companies like Research in Motion (RIM) and others in the technology sector in the city. But the renovator is going into 2012 armed with a few new strategies. To continue to catch its largest market segment – empty nesters – Pioneer Craftsmen will emphasize its ability to create winning kitchens and open concept rooms, the latter seen as an increasingly important space for large extended family gatherings. Construction starts have tailed off since the late 2000s for Belleville-based home builders. Competition for the smaller market pie is increasingly tough but builders such as Hilden Homes continue to adapt to the times with innovative strategies. One – often easier said than done — is to design and build homes that stand out from the pack. The builder’s new Craftsmen-style houses are an example, says company president Eric DenOuden. They feature “stylish front porches” with chamfered columns, James Hardie cement fibreboard siding, stone and brick accents and recessed garages. The Craftsmen theme is carried through to the interiors of these homes being built in a subdivision in Belleville. “They differentiate us from the competition because they are not your typical brick home,” DenOuden says, adding that the designs are created in-house. Hilden’s marketing approach includes usual new media formats – Facebook, new web design and an increase in virtual home tours and promotional videos. Expect the company’s name to show up on Twitter in 2012 as well. DenOuden believes in advertising blitzes. Even billboard and back-of-bus ads (an unusual ad format for builders in Belleville) have proved effective. To compete with the resale market in 2012, DenOuden says he will continue to keep a number of finished model homes available for quick occupancy. The builder maintains a stock of several houses at various levels of completion available for viewing. To appeal to growing markets (such as aging baby boomers) from cities like Toronto and Ottawa, Hilden is focused on building bungalows “with all amenities on one level,” says DenOuden. The underground economy has been a “priority concern” for above-board renovation contractors for years and the HST has intensified the issue. Estimates are that 50 percent of all renos under $20,000 are cash deals. There may be no quick-fix for the problem, but government initiatives such as the Healthy Home Renovation Tax Credit are a step in the right direction for professional renovators, says Sandra Baldwin, who aims to take advantage of the program when it is implemented in the coming year. Baldwin is president of Toronto-based renovation firm Lifetime Contractor Ltd. She says the key to the initiative is that it will require builders to provide receipts for all work done. The program offers seniors a maximum 15 percent rebate on up to $10,000 worth of alterations deemed necessary “for their changing needs.” Adapting homes to accommodate wheelchairs and walkers, for example, for the growing market of greying baby boomers fits neatly into the program. “We’re hoping renovation rebates can be expanded to include other categories of residential work,” Baldwin adds. Another growing niche market that her company will focus on in 2012 will be renos to older resale condominiums for boomers looking to “right-size” after a generation of living in large single-family homes. Green renovations is also a sector to tap in 2012 and beyond, says Baldwin, citing such examples as building envelope upgrades that involve window, door and insulation upgrades. Renos to improve indoor air quality and reduce water consumption through efficient fixtures is another promising market. 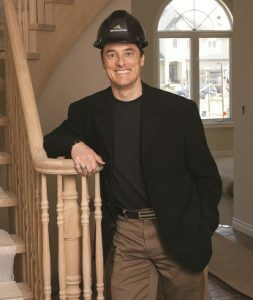 Indications are that 2012 should see slightly more work than 2011 for this Kitchener-based builder, largely because several greenfield sites are being developed in Waterloo. Eastforest will offer a range of home types for those sites, including the quadplexes – up-and-down units in semi-detached houses. Popular for their affordability, quadplexes contain raised basement units ranging from 700-780 square feet, says Rick Martins, vice-president of construction. The builder, which has carried the Energy Star rating on its homes over the past four years, will continue on the “performance path” to achieve its rating rather than the “prescriptive” approach which will be an option when Enercan introduces its next Energy Star rating in 2012, he says. Performance criteria include blower door tests, matching furnace size (output) with home size, energy-saving appliances and lighting. Testing is done by an independent evaluator. In 2012 this Sudbury-based home builder will continue to build homes that look different from most in this mining community where vinyl siding is king. Timber accents and James Hardie siding are examples of materials Monkhouse will clad its houses within a new development in Lively, a community in Greater Sudbury. The builder often uses James Hardie siding – the timber accents are new – and stone is also a feature in the façades of many of its homes. “We’re a new builder, not a legacy builder,” so creating an identity that residents will come to recognize through homes that look distinctive is paramount, says Julie Monkhouse, co-owner of the company with husband Phil. When it comes to marketing strategies the pair don’t expect to have to change their modus operandi much in 2012 partly because the home building industry in Sudbury remains on solid footing. Advertising is primarily done through its website but word-of-mouth goes a long way in this city of 160,000 residents.